African leaders meet on Friday for their annual summit with conflict topping the agenda, especially Nigeria’s Boko Haram insurgents, as well as efforts to stem Ebola. While the official theme of the African Union meeting will be women’s empowerment, leaders from the 54-member bloc will once again be beset by a string of crises across the continent. 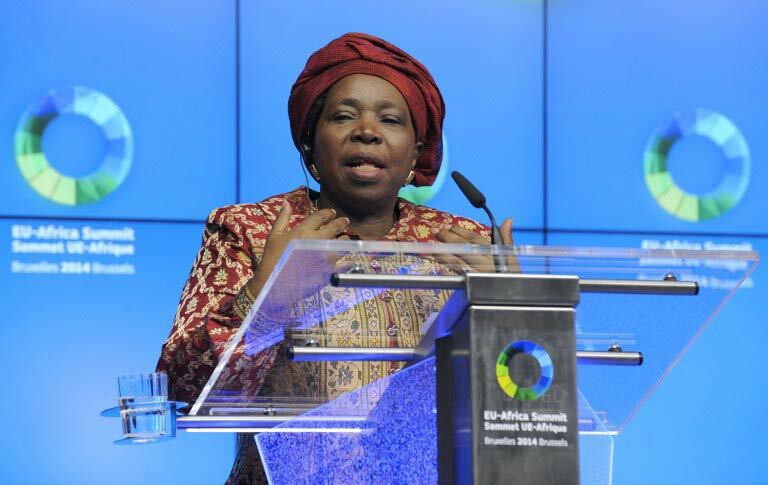 Preparatory talks this week ahead of the two-day meeting at the AU headquarters in the Ethiopian capital have seen promises by AU chief Nkosazana Dlamini-Zuma to drum up “collective African efforts” to tackle the Islamists. Late Thursday, the AU Peace and Security Council called for regional five-nation force of 7 500 troops to deploy to stop the “horrendous” rise of the insurgents. 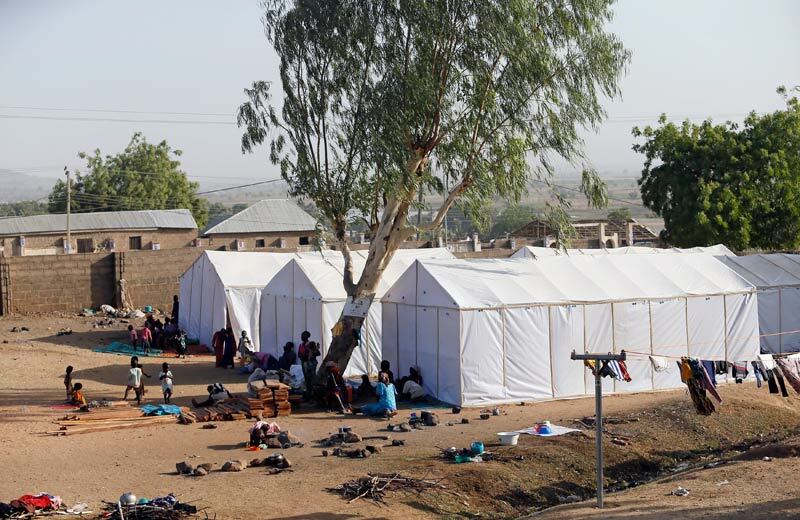 More than 13 000 people have been killed and more than one million made homeless by Boko Haram violence since 2009. Leaders are also expected to elect Zimbabwe’s President Robert Mugabe to the organisation’s one-year rotating chair, replacing Mauritania’s President Mohamed Ould Abdel Aziz. Mugabe, a former liberation war hero who aged 90 is Africa’s oldest president and the third-longest serving leader, is viewed with deep respect by many on the continent. The Institute for Security Studies, an African think-tank, warns that “many of these are being held in a context that increases the risk of political violence”. Wars in South Sudan and the Central African Republic – both nations scheduled to hold elections – as well as in Libya are also due to draw debate. South Sudan’s warring parties met Thursday in the latest push for a lasting peace deal, with six previous ceasefire commitments never holding for more than a few days – and sometime just hours – on the ground. Also topping the agenda is the question of financing regional forces, amid broader debates on funding the AU, a thorny issue for the bloc, once heavily bankrolled by toppled Libyan strongman Muammar Gaddafi. African leaders will also discuss the economic recovery of countries affected by the Ebola virus, setting up a “solidarity fund” and planning a proposed African Centre for Disease Control. The worst outbreak of the virus in history has seen nearly 9 000 deaths in a year – almost all of them in the three west African countries of Liberia, Guinea and Sierra Leone – and sparked a major health scare worldwide. According to Article 19 of the Universal Declaration of Human Rights presented by the UN, everyone has the right to freedom of speech. But with every right comes a responsibility hence the classic philosophy that our freedom ends where the next person’s freedom begins. This of course is not easily understood. The Charlie Hebdo episode is important as it awakened intriguing debates – arguments of freedom of speech, Europe’s Islamophobia issues and the hypocrisy of politicians in attending a march for freedom of speech whilst condemning freedom of expression in their respective countries, to name a few. These issues mirror our global village and are worthy of media attention. However, around this same time frame a debatable 150 to 2000 lives were claimed in Nigeria through yet another attack orchestrated by Boko Haram, and debates about the tragedy’s little media coverage quickly surfaced. 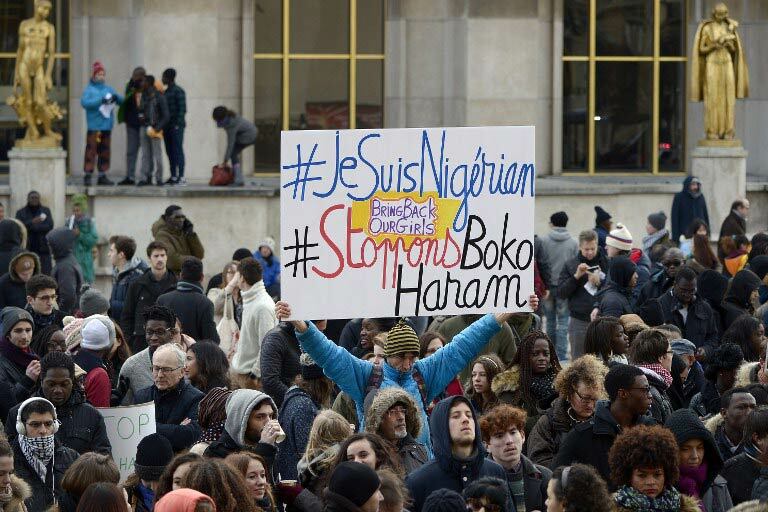 We hastily saw the emergence of #JeSuisNigeria, #IamNigeria and #IamAfrica in reaction to #JeSuisCharlie. This response summons reflection on the presentation and representation of African issues in the world media and most importantly global reaction to our issues. Not too long ago we saw how the world ignored Ebola until it became an intercontinental concern and this speaks volumes on our status as the “dark continent”. Many of our salient issues are misreported or simply overlooked. We want our stories reported too, the same way that events that shake the world or just a country are reported, according to their relevance and impact. An outcry for coverage, however, is not always an appeal for international intervention. Alas…”according to their relevance and impact”…perhaps African stories are deemed to be neither essential nor impactful to the world. “Let he who can speak, speak for himself.” So says a Somali proverb. Several broadcasting powerhouses that have branches dedicated to reporting African narratives on an international scale are not African. And one must wonder about the whereabouts of rich African tycoons who are qualified to invest in the creation of African broadcasting panels that can inform the world on a global scale, since our governments give us little hope. Those who have toiled for this cause have done a fine job and it is good to see different news outlets both in the physical and in the cyber world committed to African narratives but can we see something as big as Euronews focused on our stories? Some events are hard to tackle. Reporting on Boko Haram is challenging as it is difficult to obtain information under the circumstances of terrorism, there is scarcity of information and accuracy even in Nigeria. The Nigerian government’s failure to promptly pronounce themselves on the attack in Baga but President Goodluck Jonathan’s rush to publicise his solidarity with France is something alarming and distasteful, unpardonable. 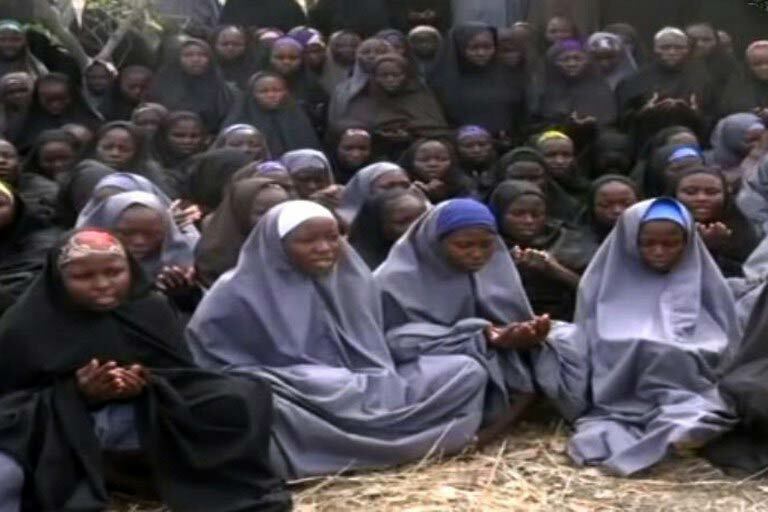 Although #BringBackOurGirls turned into a case of viral humanitarianism let’s remember that the world stood with us and it amounted to nothing. This because the politics of politics is what takes place behind the scenes and it comes complete with shenanigans, schemes, executive brouhaha and the struggle for resources, power and influence. Despite the anger and frustration remember that politics is a system affected and influenced by various elements and components. Sadly we sometimes pay for governance at the expense of our very lives. The world occasionally stands with us with their display of short-lived solidarity, so it is our responsibility to remember when the world has forgotten. Many times our respective countries do an average job. Everyone is rightfully preoccupied with their internal affairs, hence the necessity for central panels that can go in-depth and minimise the ignorance and mediocrity, reporting not only the calamities but the successes too. Above the famous ignorance from the West, what is far more insulting is African indifference, the one we try to obscure. Our sorrows are many and we have become complacent as experience has silenced our voices. Where is our accountability? Ubuntu? General concern? Instead of being outraged about the lack of coverage we get in the West, let’s scrutinise the lack of coverage we get in Africa concerning African issues. There is much to deconstruct here and before we demand and expect our voices to be heard let’s evaluate the value of our opinions. What are the factors influencing our freedom of speech? What are the factors affecting our solidarity? What has driven so many of us to stagnancy? And to those who are speaking, why are we not familiar with their voices? Where are the evils? Let’s start recognising and fighting the enemy within. Because before we expect he who can speak to speak for himself we need to be wise enough to analyse his ability and right to speak in the first place. Can we even speak?